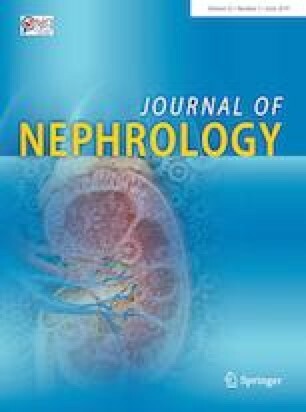 Pentoxifylline could reduce proteinuria and slow renal disease progression. We previously conducted a single-blind, randomized, controlled trial that showed that pentoxifylline decreases inflammatory markers and stabilizes renal function. 91 participants (46 in the pentoxifylline group and 45 in the control group) followed up for 7 additional years. Post hoc analysis of a long-term follow-up after completion of the 12-months trial. Pentoxifylline treatment (400 mg/twice a day) or standard treatment. Renal event (defined as starting dialysis therapy and/or doubling serum creatinine and/or ≥ 50% decrease in estimated glomerular filtration rate) and cardiovascular mortality. During follow-up, a renal event was recorded in 24 patients from control group (13 initiated dialysis therapy and serum creatinine doubled in 11) and 11 patients from PTF group (7 initiated dialysis and serum creatinine doubled in 4) (log Rank: 5.822, p = 0.016). The possible protector effect of PTF was more significant in albuminuric patients and was independently of diabetes mellitus presence. Treatment with PTF reduced the renal events by 35% compared to the control group in a Cox model adjusted for diabetes mellitus, albuminuria and basal renal function (HR 0.65 (0.45–0.94), p = 0.022). Cardiovascular mortality was significantly reduced in PTF treatment (2 patients vs. 10 in control group) (log Rank 5.0977, p = 0.024). PTF treatment reduced cardiovascular mortality in 55% adjusted for diabetes mellitus and age (HR 0.45 (0.21–0.98), p = 0.044) (Table 3). Small sample size, single center, not double blind and post hoc follow-up analysis. Long-term treatment with pentoxifylline may slow the rate of progression of kidney disease and reduce cardiovascular risk. The authors declare that they have no conflicto of interest. The study was approved by the local Institutional Ethics Commitee. Informed consent was obtained from all individual participants included in the study accordance with 1964 Helsinki Declaration.